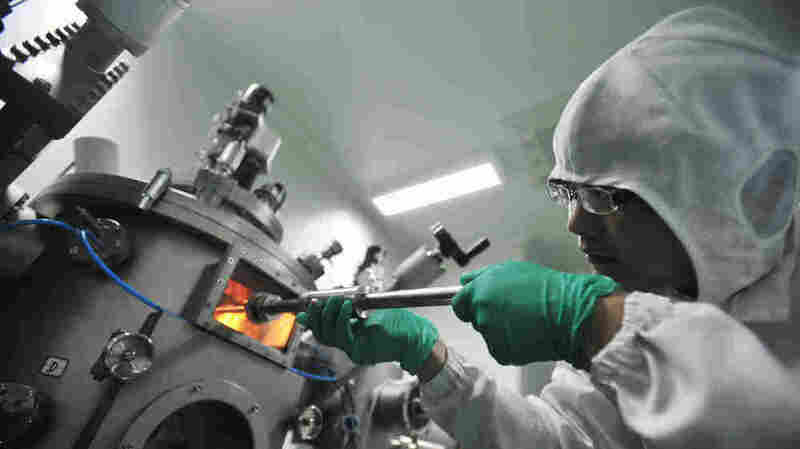 China Seeks Status As Scientific Superpower Chinese leaders are pouring money into research and development in a bid to rejoin the ranks of the world's top technological innovators. Beijing is also luring back Chinese scientists from overseas. But money and manpower may not be enough. Beijing is pouring money into research and development. China was probably the world's earliest technological superpower, inventing the plow, the compass, gunpowder and block printing. Then, science in the Middle Kingdom languished for centuries. Until 1893, the Chinese didn't even have a word for "science." That was when a Japanese term originally made its way into the Chinese language, a symbol of just how much of a latecomer China was to modern science. Now, leaders in Beijing are pouring money into research and development — 698 billion yuan ($108 billion) last year — in what some see as a form of techno-nationalism. 698 billion yuan equals $108 billion in current U.S. dollar terms. "China cannot develop without developing science and technology," Premier Wen Jiabao said in late May in a speech to the National Congress of the China Association for Science and Technology. "Our future relies on the future of science and technology." One major focus has been attracting scientific talent through government schemes designed to lure home Chinese scientists working overseas. One such returnee is Fan Heng, a quantum computing expert who left UCLA in 2005 for the Chinese Academy of Sciences. 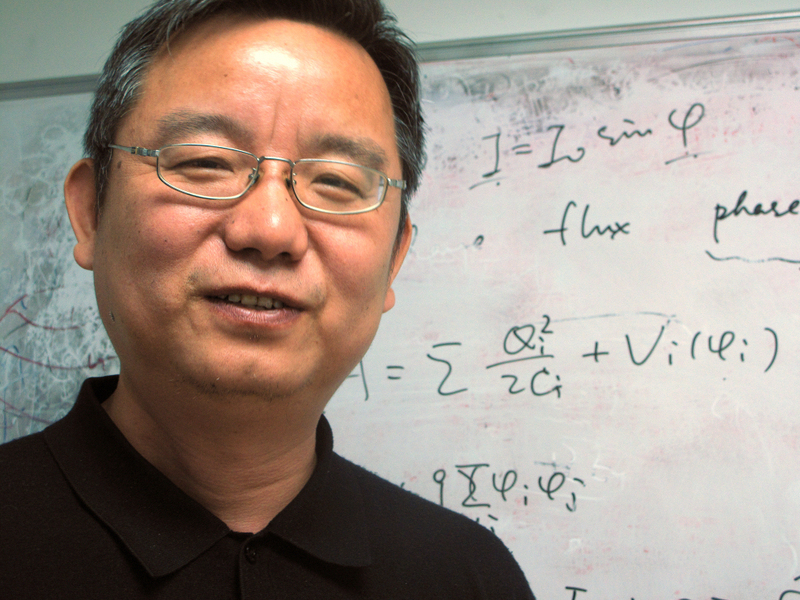 A decade ago, he says, most scientists were desperate to leave China. The same scientists are now desperate to tap into those funds to come back. "Ten years ago we wanted to go abroad to have experience, but now we want to come back to concentrate on our research," Fan says. The most recent figures show that such initiatives have recruited more than 3,100 top-flight academics, offering them tenured positions, research labs and one-time bonuses, generally of at least $150,000 per person. These opportunities have made China a much more attractive option for native Chinese scientists, reversing the brain drain to the point where Fan believes there are no longer enough positions available in China for all those who wish to return. "Gradually the trend has changed completely," he says. "Some researchers want to go back to China, but there are not so many opportunities for them. The positions are limited." When it comes to doctorates, the brain gain is even more extensive, according to Michael Zielenziger, who until recently was with the Monitor Group consulting firm and is co-author of a report entitled "China: The Life Sciences Leader of 2020." 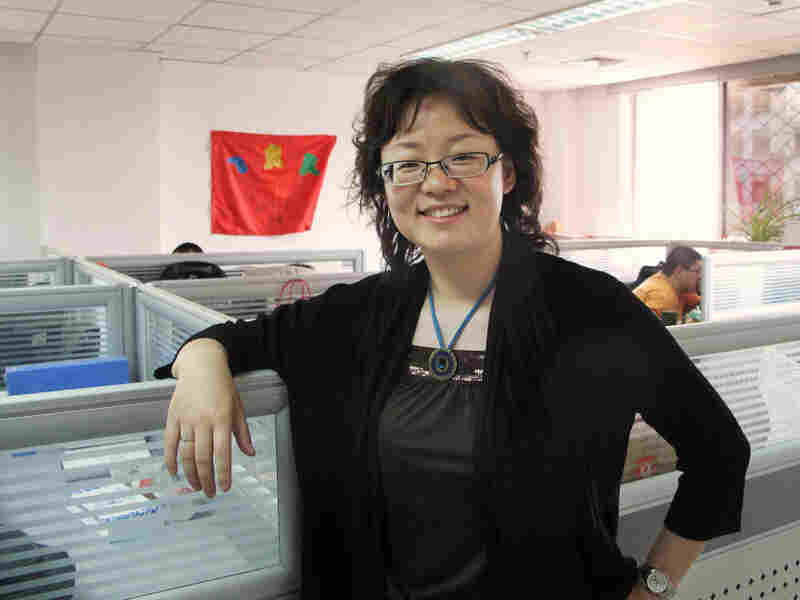 Quantum computing expert Fan Heng says that 10 years ago, Chinese scientists wanted to go abroad. But now, many of the same scientists are so keen to return home that positions are limited. "To me, 80,000 Ph.D.s coming home from the States, from Europe, to work in Chinese laboratories is a pretty impressive number, especially when you consider that when it comes to things like clinical trials, you can run a lab bench in China for 20 cents of the dollars it costs in the United States," he says. China has even launched a program to attract Nobel laureates. The first beneficiary is Luc Montagnier, a 78-year-old French scientist who won a Nobel in 2008 for his discovery of HIV. He was reportedly given almost $4 million for his own institute at Shanghai Jiaotong University. The institute will focus on researching electromagnetic waves produced by DNA in water, a field many discount as pseudoscience. "This is highly controversial even in China," says He Jiao of ScienceNet, a vocal online community of Chinese scientists. "I've talked to a lot of mainstream scientists who think it's a waste of taxpayers' money." Such schemes also arouse bitterness among some Chinese scientists who have never left the country and who feel they are missing out on opportunities offered only to those who return from overseas. Official spending on science will only increase, even as U.S. budgets are cut. China's research and development spending is scheduled to rise to 2.2 percent of GDP in 2015, from 1.7 percent in 2011, with a focus on specific emerging fields such as nanotechnology, clean energy and stem cell research. Along with this targeted investment, there also has been a serious focus on building up China's scientific infrastructure in the form of new research labs and institutes. Alan Trounson, president of the California Institute for Regenerative Medicine, one of the world's richest stem cell research organizations, recently visited China for the first time in five years. "They're putting a lot of money into this area — I'm amazed how much," he says. "When I look at the facilities and equipment going into these places, it's first rate. It's as good as you see anywhere in any new facility in the world." "I'm rocked ... with what this country can do in such a short time. So imagine the next five years or next 10, and I would think it's very likely the science here will be the dominant science, probably in the world," he adds. Amid the headlines, even John Holdren, the White House science adviser, has admitted there are serious concerns that if the U.S. doesn't improve its game, China could — as he put it — "eat our lunch." But in terms of pure numbers, China still has a long way to go before it catches up with the U.S.
"If we compare in absolute dollars, the Chinese are spending about a third or a little bit more than what the U.S. is putting into science and technology development," says the University of Oregon's Denis Simon, putting the figures in context. He Jiao of the online community ScienceNet says China's decision to give a reported $4 million to Nobel laureate Luc Montagnier to establish an institute to study electromagnetic waves produced by DNA in water is "highly controversial." But he points out Beijing has been increasing its investment very quickly. "Over the last two years, China's spending on R&D has averaged over 20-plus percent growth, and that's kind of a remarkable increase," he says. However, a recent Chinese bullet train collision killed 39 people on what was supposed to be the world's most advanced high-speed rail network, showing the perils of overreach. China has spent $300 billion on the network, but it's been plagued by corruption, haste and shoddy workmanship, undermining safety standards. The result? A proud technological achievement has become an embarrassment. Speaking before the accident, Simon said he believes China's leadership is unsure its investment in science and technology is bearing fruit. "The anxiety, I think, that exists at central leadership levels is that after spending all of this money, and buying all this equipment and training all these people, they're still not seeing the bang for the buck, as we say in the West. There is this kind of trepidation to break the mold, so we don't see a lot of radical innovation in China," Simon said. So what's holding China back? One answer could lie in a recent scientific scandal: Leading geologist Duan Zhenhao was sacked after accusations he embezzled $1.5 million of research funding to spend on his three mistresses. Indeed, the Chinese Academy of Sciences admitted it spent $44 million last year on overseas trips, official cars and conferences. A political culture of corruption, prestige projects and top-down obedience could be hindering China's scientific revolution.